Is Your Youth Group Lame? It Depends. Home / Is Your Youth Group Lame? It Depends. I had a great conversation with a parent yesterday because we were on the same page (I know, shocking! ), but she shared how her daughter and another came to them after a recent service and said that youth group that night was lame. A little back story. This youth group has had everything handed to it. They have not had a youth pastor last longer than a year in the past five years. I am launching into year two. The upside of of the conversations is that we both agree that both girls were not taking enough responsibility or ownership the group. Just because someone says your group is lame does not mean it is. 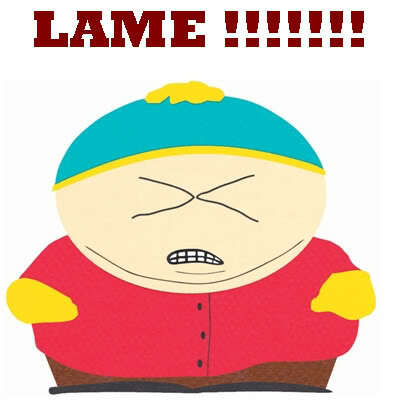 So what does the phrase, “This group is lame.” really mean? And how do you know if it is or isn’t? It depends. It depends, are doing all the planning? Yes? Then it’s lame. It depends, are you tapping into kids gifts and letting them shine? No? Then it’s lame. It depends, are you caving into the consumerism mentality of the spoiled few? Yes? Then it’s lame. It depends, are you discipling (disciplining, correcting, guiding, etc) your kids? No? Then it’s lame. It depends, are you trying to please everyone? Yes? Then it’s lame. It depends, are you willing to let kids fail? No? Then it’s lame. It depends, Is Jesus the focus of your mission? No? Then it’s lame. Did you flunk? Are you lame? The good news, your group is not incurably lame. You can change. So, what is the opposite of lame? Do the opposite of the above things and find out. Sorry bro, a good youth group makes all the difference.